Experience the perfect escape from city life to relax, socialise or be creative in an inspiring atmosphere. 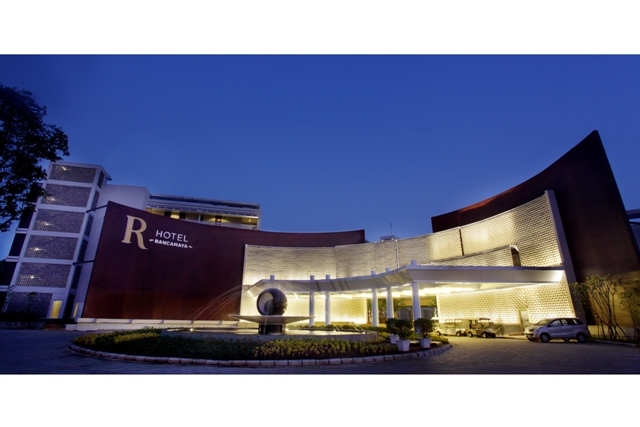 R Hotel Rancamaya offers a world of informal urban chic on the outskirts of Bogor. Guests will instantly feel at home as the Guest Services team welcomes them in the open-air lobby, which is designed to seamlessly integrate the Rancamaya Golf Estate’s beautiful environment. 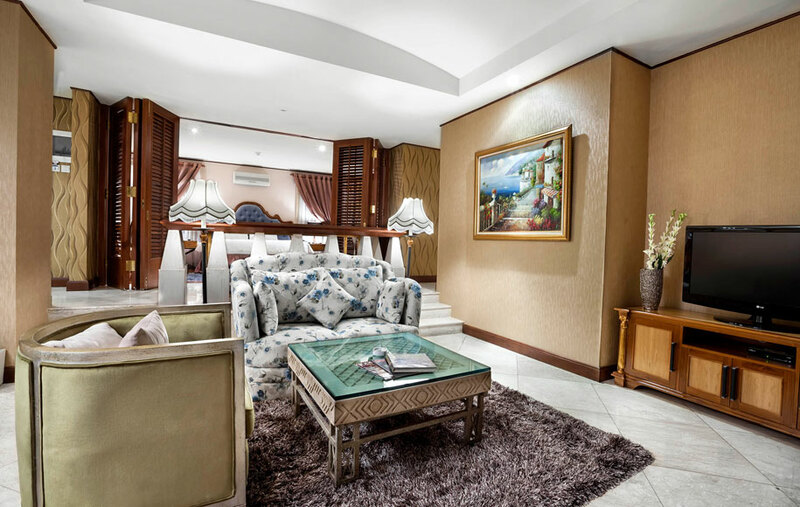 The hotel has 140 tastefully done up rooms, suites and villas offering brilliant views of majestic Mount Salak, the sprawling Bogor landscape and a championship golf course. Guestrooms and suites are built throughout 5 floors, ranging in size from 34 square meters to 125 square meters, all with balconies. The hotel’s superior rooms feature 2 queen twin beds ideal for families and corporate events. Accommodation includes guestrooms and suites with direct lagoon access and one and two bedroom suites. An inviting 96 meters long lagoon pool runs along the front of the hotel’s accommodation offering no shortage of places for a refreshing dip or some serious laps. Wander through the 2.5 hectares garden, sit at the lake and read a book or take your children to watch the deer. Other leisure facilities include a 6,931 yard golf course and a fitness centre. R Hotel Rancamaya offers 5 distinct dining options. Its main eatery, Pavilion, celebrates traditional Indonesian food with modern flavours served in a stimulating contemporary setting. Revolving around an interactive show kitchen Pavilion brings the excitement of live cooking to centre stage. Serving a la Carte menus and indulgent buffets featuring Western comfort food and Indonesian home-style cooking, the 19th Hole overlooks the golf course and is the ideal spot for a relaxed and casual lunch. In addition, a range of 16 sleek high ceiling event spaces brings a level of sophistication and elegance, making this the perfect retreat for discerning travellers. Relax in exquisite, contemporary style 36-sqm room featuring two 160 x 200 queen beds, Superior rooms are invitingly cozy. Sip your morning tea or coffee on the balcony, before stepping under the rain shower to get ready for a day in paradise. Come back for an afternoon snooze, or laze in bed and watch a movie. Go to RHotel Book Our Room Now! 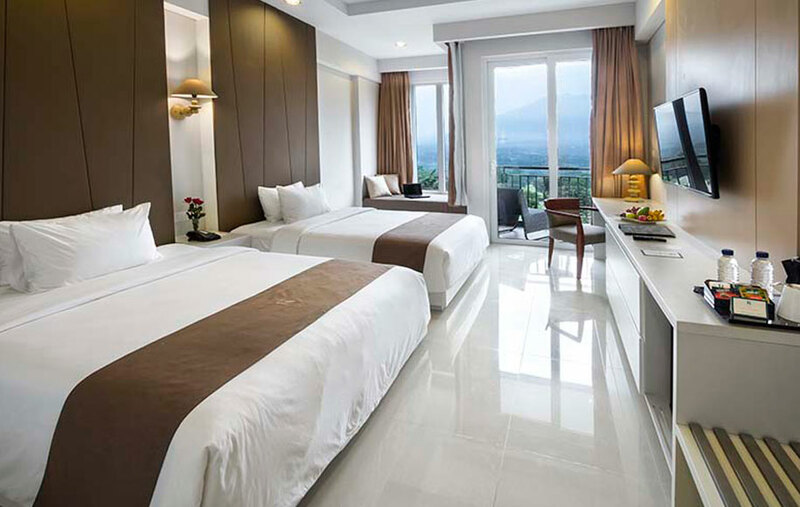 Our 39 sqm Deluxe Rooms is designed with your total comfort in mind, and fresh contemporary style to match the mountains scene outside. Enjoy a great night`s sleep with the choice of a twin queen bed or a king size bed. Then relax on your private balcony to watch the mountain breeze, or cozy up inside on a sofa chair for TV time or an online catch up. The extra space of our Grand Suites gives you even more room to relax and enjoy mount-front life to the full. Perfect for families and friends, you’ll find all the essential comforts you need, whatever you’re in the mood for. Watch the sweeping views across an expanse beautifully manicured golf course towards mystical Mt. Salak on the distant horizon as you chill out on the balcony. Perfect for privacy and relaxation, families or couples, this one-bedroom villa offers 95-sqm of tastefully decorated living space where the traditional and the contemporary seamlessly blend with quality teak furniture, marble flooring, 42″ flat screen TV and complimentary internet. Luxurious interiors naturally flow to lush gardens and a private patio overlooking the beautifully manicured fairways. A private entrance leads you to a secluded wing of R Hotel Rancamaya. Maximum guests per suite: two adults and one child under 12 years old using an extra bed, which can be set-up in the living room. Go to RHotel Book Now!